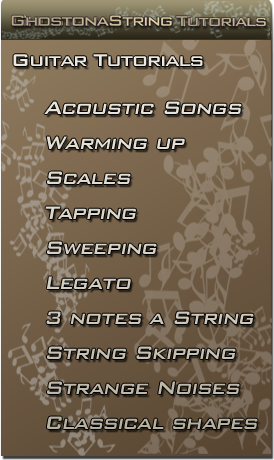 In this section you will find different guitar tutorial categories like; scales, sweeping, 3 notes a string, tapping and a lot more. With the new techniques and a new video camera, I will recorded some new guitar idea’s and workouts. Since I worked the last couple of months on various recording projects, I came across some issues while I was recording. But before we start with any of my tutorials, I have to stress out one of the very important thing and misunderstandings about tutorials. With this I mean; the thing I will show you in these tutorials is my way of doing it or how I look at some of the things. I don’t clam “THIS IS THE WAY HOW YOU HAVE TO DO IT”. Each tutorial functions as a tool or guide to help you, developing your own techniques, style and knowledge. But the main goal is, make it your own style and technique. 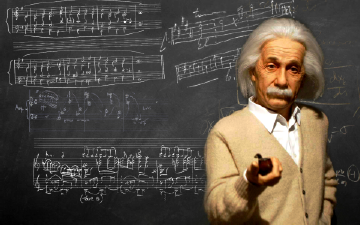 Sure when it comes to playing an instrument, make and/or record your own music, at one point you will have to deal with some kind of “rules”, but that is not what these tutorials are about or made for. The main idea with these tutorials is, that I hope that I can help anybody who struggle with the same problems, issues or ideas I had to deal with when I got blocked in the learning process. So again, Tutorials are Tools not Rules. And if you come across something after seeing my tutorials, and something is not really working for you of is still not really clear for you, or you still have questions about anything that I am showing or not showing you. Or you have some request, please just let me know and I'll try my best to answer your question as best as I can. Just write me a mail, post on the youtube video it self or at my twitter and FaceBook account. While I was recording my "Acoustic History" project, I run in to some little issues that later turned into little problems for my recordings. And since I couldn’t really find and good music score or tutorials on the internet, I came up with the idea to make some tutorials my self. So that if you are running into the same kind of issues with your recordings or guitar playing, you can fall back on some of the things I believe are useful to know about these songs. When it comes to the correctness of these songs and how I play them, I don't believe I play them 100% correct or in the same as how the original recording artist would have played them, but still you would be able to play along with some of your favorite songs. For these songs, I will try to add the music score and chord progression in a downloadable PDF so it will be easy to understand what I'll be playing. 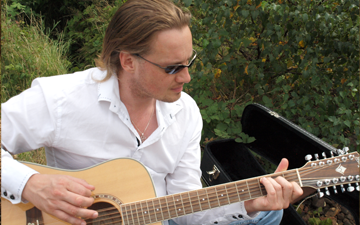 I will include information like the tuning of the guitar, chords symbols for each song. Plus in the video you will find a break down and explanation of each section of the song. The current list of songs will be 10 titles for the moment, but I will be uploading some new amazing songs pretty soon.